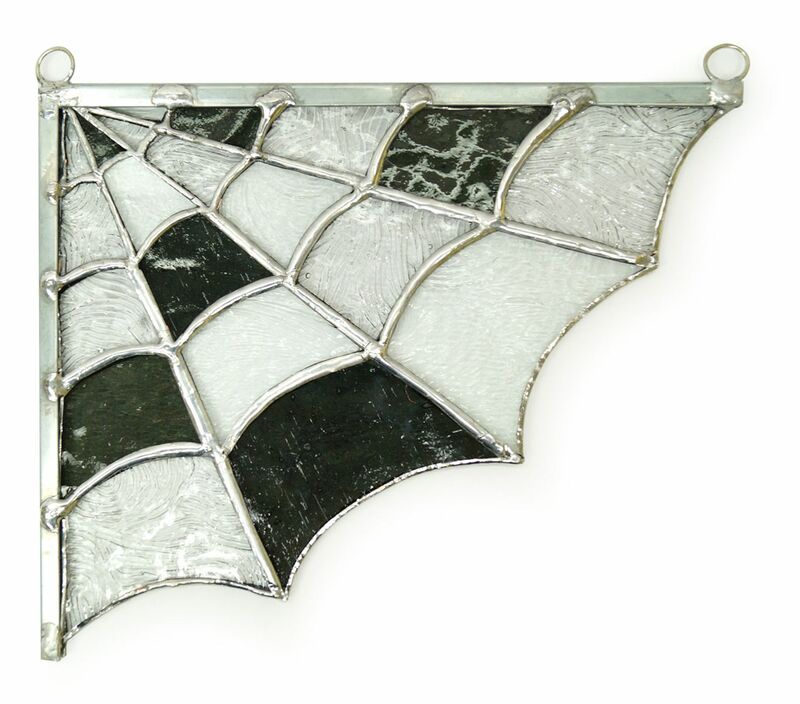 Create this enchanting and eerie stained glass project and add charming Halloween accents to your windows. Finished project shown by artist Lanayia Shaw. Print and resize pattern as desired. 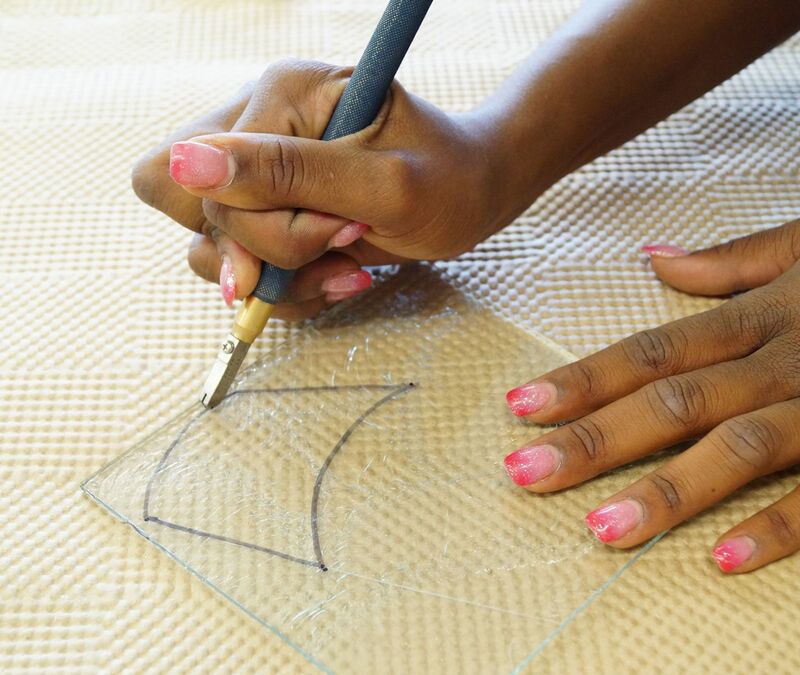 Trace the pattern on to glass. 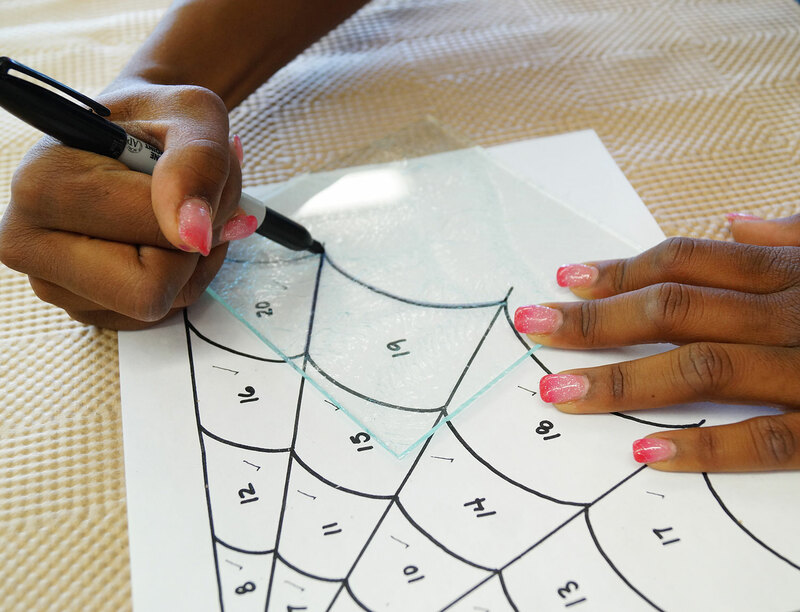 Note: If you are using textured glass, trace the pattern and score on the smooth side of the glass. 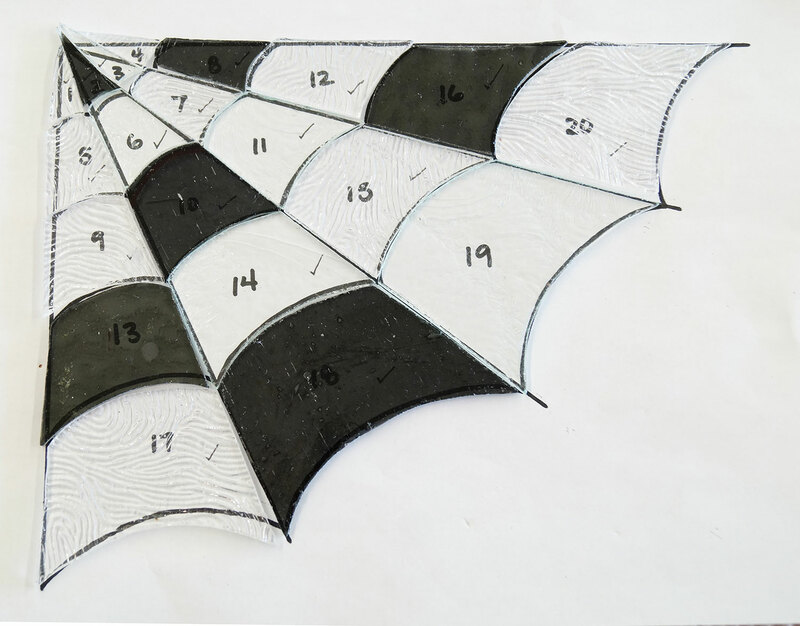 Score glass following pattern lines. 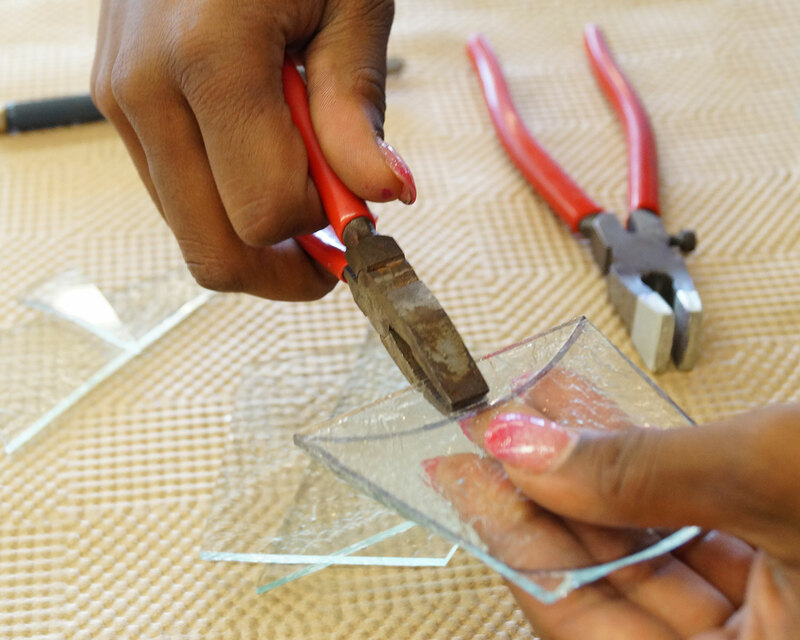 Break glass along scores using running pliers and breaker pliers. Fit pieces to pattern. 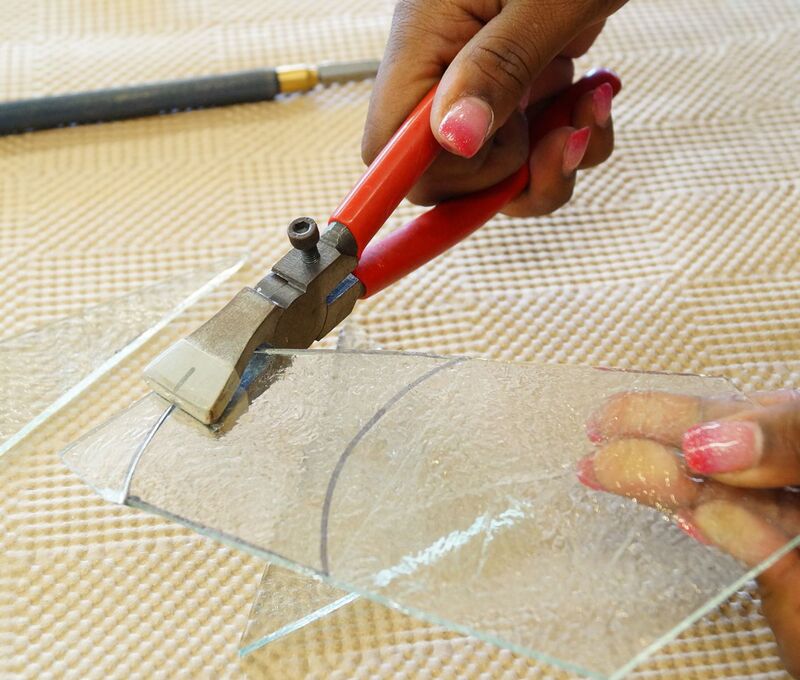 Adjust as needed using a scythe stone or glass grinder. Lay out and clean all glass pieces. 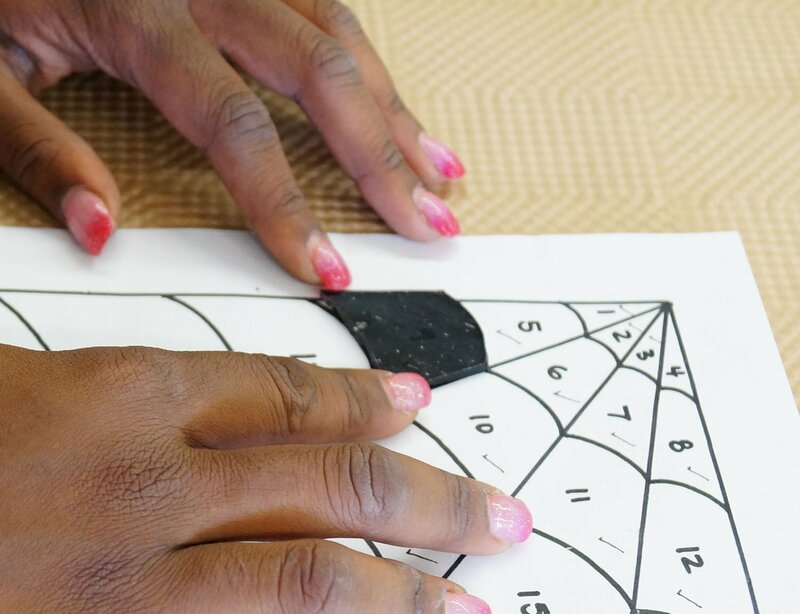 Delphi Tip: Use Layout Blocks and Push Pins to hold pieces in position and keep your project square. Wrap foil around each piece and burnish. Note: Be sure not to start and stop foil on the outside edge of border pieces. 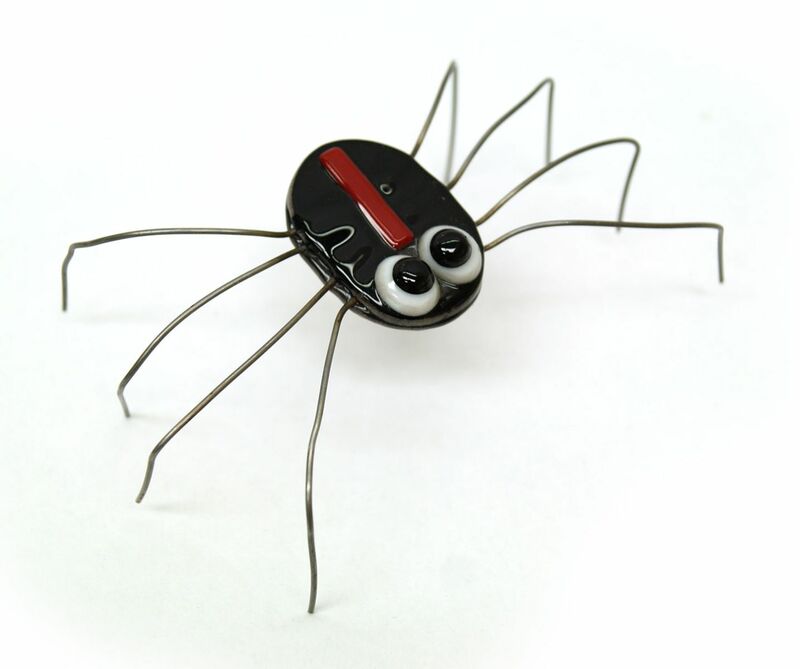 Solder all internal pattern lines together, leaving the top and side unsoldered. Cut zinc came to fit the top and side. 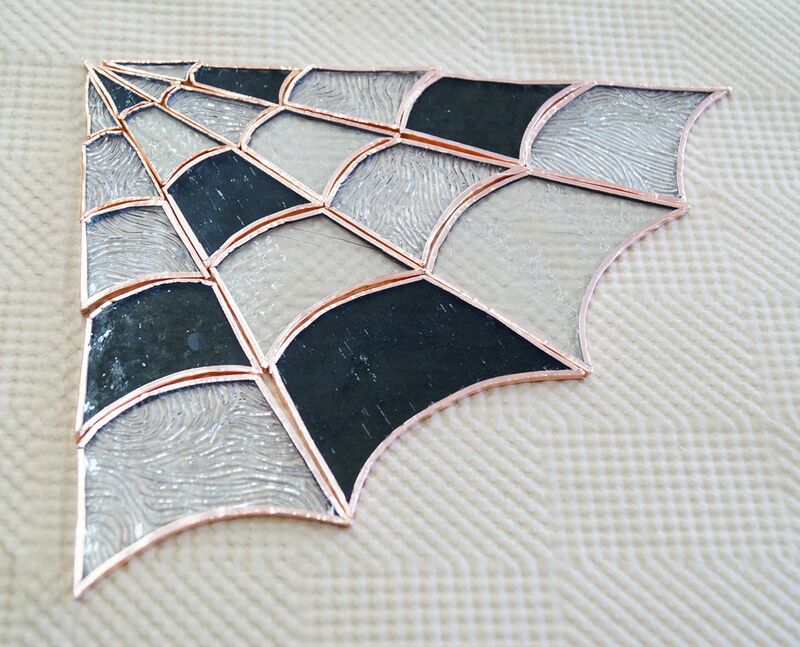 Position came and solder to each pattern line that touches the edge. 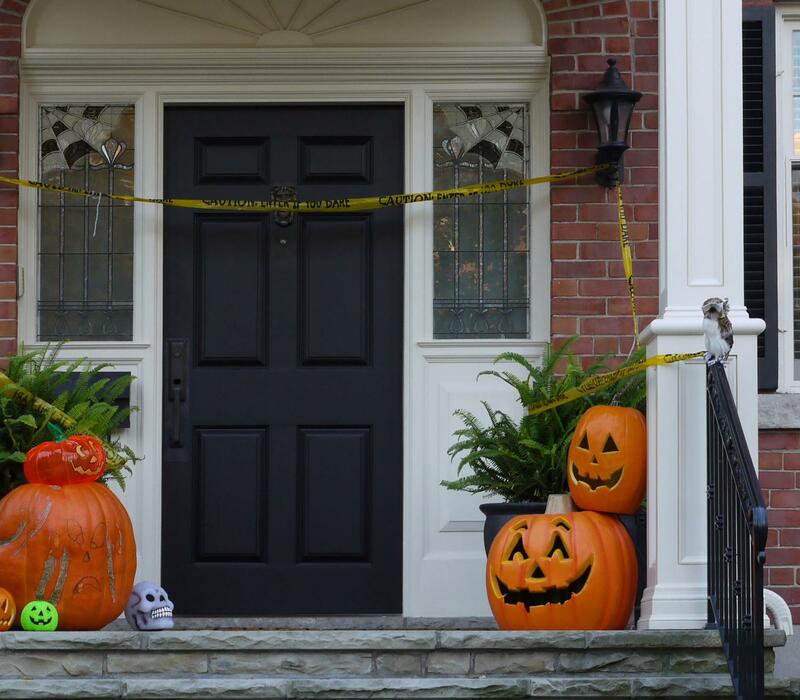 Attach jump rings to the top edge at the corners to easily hang the panel in your window. 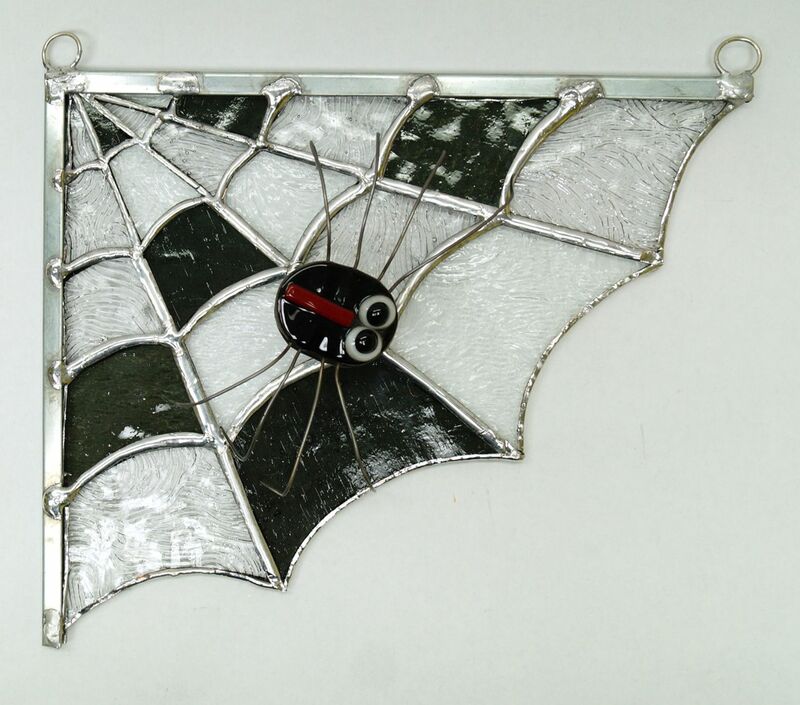 Create a stained glass or fused glass spider to embellish your panel. 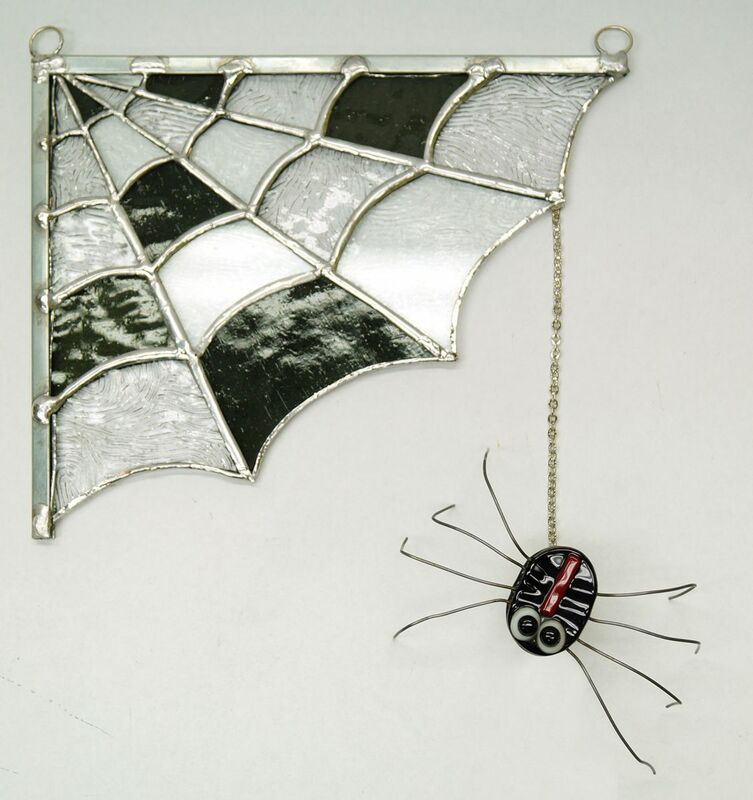 Use wire to form the spider legs and solder the spider to the panel, or hang the spider from the bottom edge of the panel using sun catcher hanging line or box chain.